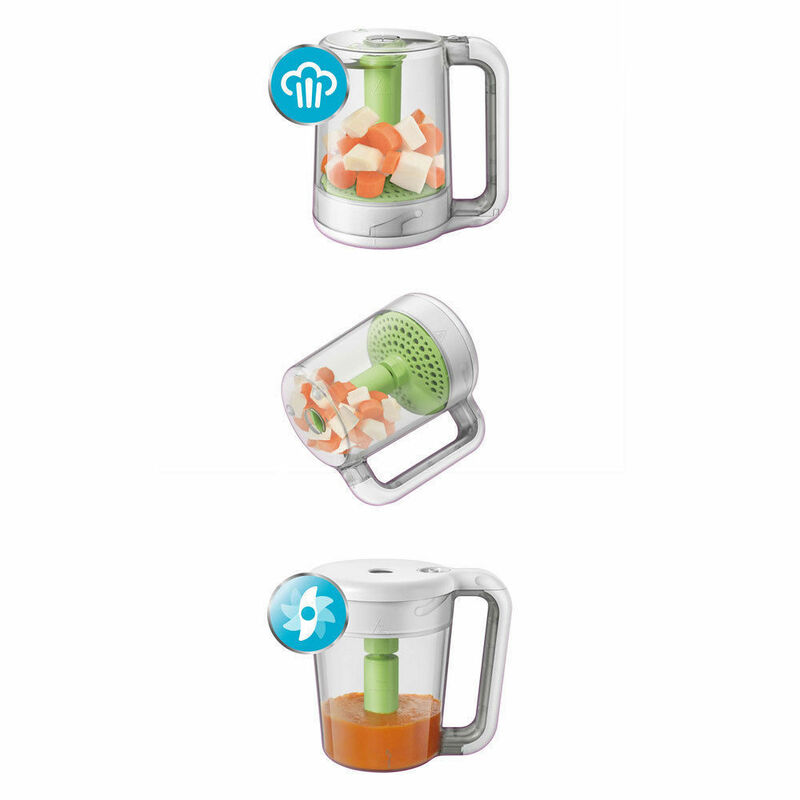 Baby Food Maker and Baby Bottle Warmer Product Reviews list the best baby food processor, grinder and bottle warmer and to which kind of baby food containers are more suitable for the bottle warmer. At some stage during the first year, you will have to start to wean your baby off milk and on to solid food. Understanding that there is a lot of pressure to start early, but resist all such pressure until about 5 to 6 months later. If you introduce solids before this time, the food will pass through mostly undigested and thus you will be putting an increased strain on the baby’s immature kidneys. 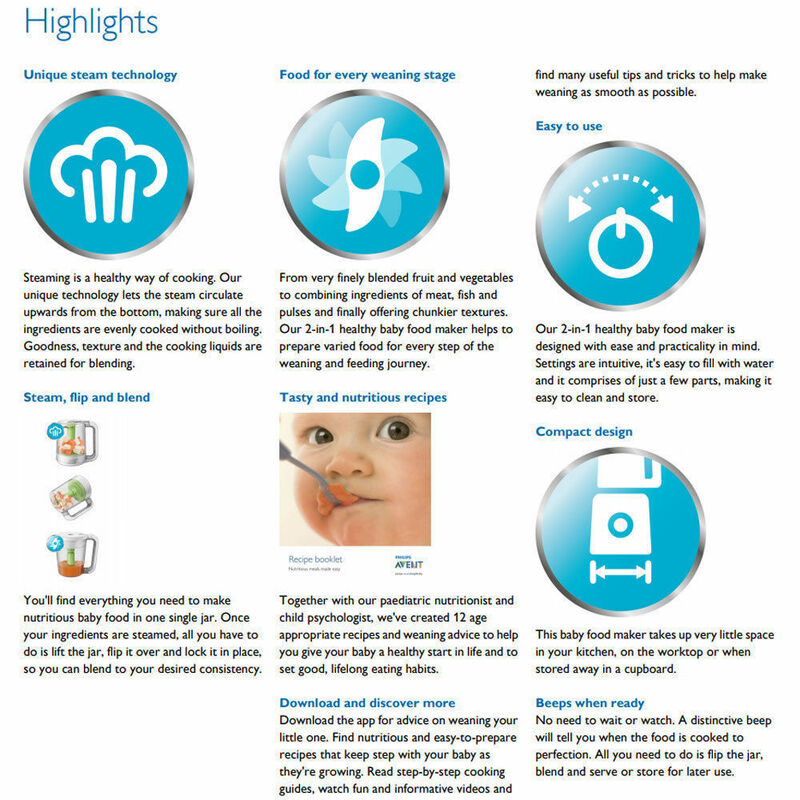 Babies are incapable of digesting and absorbing complex foods until they are at least 3 months old. Try watching this scary Ted.com video by Jamie Oliver & his TED Prize wish: Teach every child about food. Sharing powerful stories from his anti-obesity project in Huntington, West Virginia — and a shocking image of the sugar we eat — TED Prize winner Jamie Oliver makes the case for an all-out assault on our ignorance of food. Having asked every American friend that I know whose big idea it was to add sugar to milk in America. Milk tastes just fabulous neat! 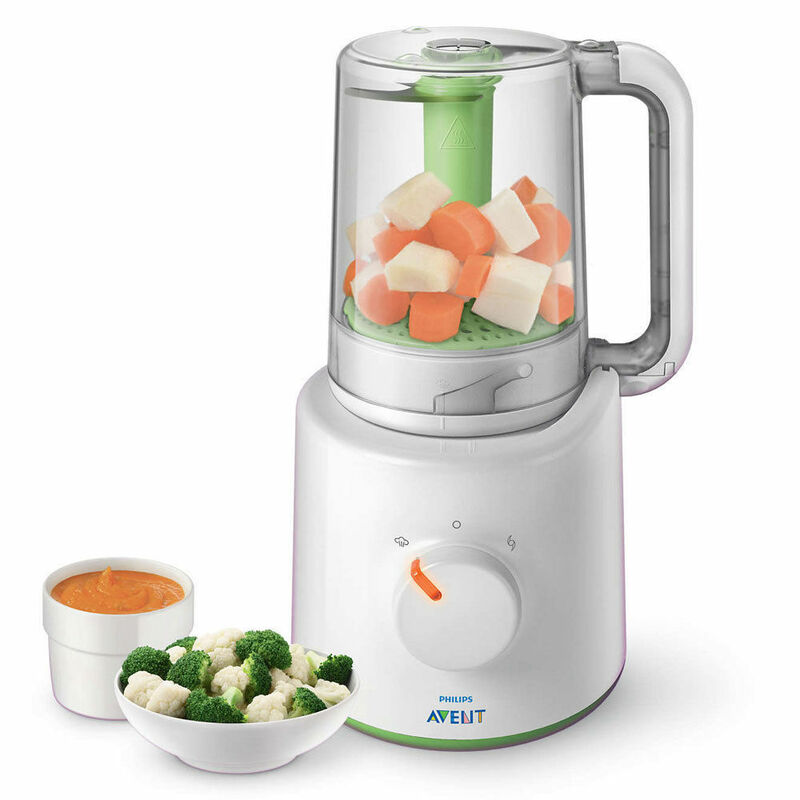 Combined baby food Steamers and Blenders are such a convenience for all busy mothers. Just put the vegetable or meat in, add the correct amount of water for steaming. When the food is cooked, just flip the container upside down and blend. The liquid from the steaming is full of nutrients is also saved and can be added back into the food or used as stock to wet the rice powder. Never discard away the nutrients liquid. Whichever baby food grinder or processor you choose, just ensure that after steaming, the nutrient rich liquid from the steaming is saved.